Debt collection is not only a sensitive area of law, but it is also one that has seen a lot of changes over the past several years. This past legislative session in Colorado, for example, the General Assembly passed Senate Bill 17-216, which amends and extends the Colorado Fair Debt Collection Practices Act. Most of those changes went into effect Aug. 9, 2017. If you need strong courtroom advocacy in debt collections matters, we are your team. Please contact us today to speak with one of our experienced Colorado commercial litigation attorneys. 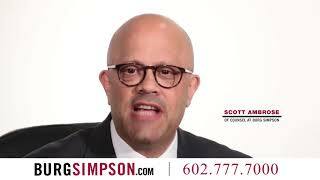 As an example, if you have debtors who are not paying their bills or you are otherwise struggling to collect debts owed to you, Burg Simpson has an aggressive group of trial lawyers who can assist you. Get in touch with Denver corporate litigation lawyer today by calling 303-792-5595. Definition of a debt buyer – The law redefines what a debt buyer is, including them in the legislation for the first time. It clarifies that debt buyers are, in fact, considered to be collection agencies. A debt buyer is now defined as “a person who engages in the business of purchasing delinquent or defaulted debt for collection purposes, whether it collects the debt itself, hires a third party for collection, or hires an attorney for litigation in order to collect the debt.” However, debt buyers are excluded from the law’s bond requirement as long as the buyer doesn’t engage in the services of a third-party debt collector. Legal action requirements – The amended law also establishes new requirements for legal actions filed by debt collectors or collection agencies. Statute of limitations – The amended law also clarifies the statute of limitations for private actions is two years. If you are a debt buyer or collection agency, you might need professional legal advice on how to operate under the constraints of this revised legislation. Do not risk making a mistake that could threaten your business. 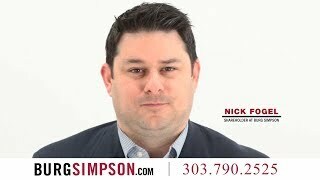 Call an experienced Colorado corporate litigation attorney at Burg Simpson immediately at 303-792-5595. Harass or abuse debtors: This includes threats of violence or property damage. This provision of Colorado law also forbids profanity and badgering, non-stop phone calls. Lie to borrowers: This includes claims of false affiliation with government agencies, misrepresentation of the actual debt, or falsely accusing the debtor of criminal activity. Act unfairly: This can include taking more than what is actually owed or threatening legal actions, such as repossession, when it is not warranted. Debt collection can be a difficult undertaking, whether it is the primary function of your business or it plays a secondary role, such as collecting money that customers or vendors owe you. It does not help that the law is constantly changing and that there are separate federal and state statutes that have to be navigated. Burg Simpson’s Colorado corporate litigation attorneys are not only experienced, but they are up to date on all these amendments. 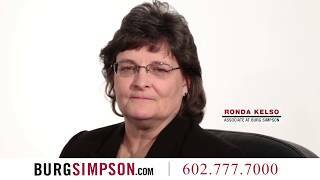 If you are encountering issues with collections of any kind, Burg Simpson can help. Call us right now at 303-792-5595.